That’s the case first reported by Policy Watch in April 2014 in which a Surry County Sheriff’s Officer pulled over a car for having a broken brake light and then — under the guise of a legitimate traffic stop — searched the car, found some cocaine and arrested the driver and the car’s owner, Nicholas Heien, for possession. Turned out, though, that the officer was wrong — having just one broken brake light violated no North Carolina laws. After his arrest, Heien asked the trial court to suppress the evidence obtained from the vehicle search, which followed from what he contended was an unlawful traffic stop. The trial court ruled against him, but the Court of Appeals later ruled in his favor, holding that an officer’s mistaken belief that a traffic violation has occurred is not a reasonable justification for a traffic stop under the Fourth Amendment. 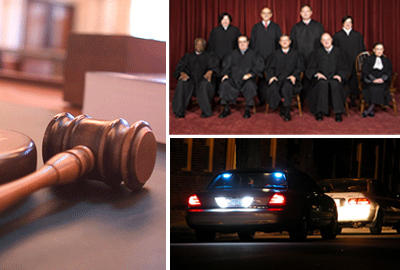 The state Supreme Court then reversed — holding that so long as an officer’s mistaken view of the law is reasonable, the traffic stop is justified under the Fourth Amendment. “Requiring an officer to be more than reasonable, mandating that he be perfect, would impose a greater burden than that required under the Fourth Amendment,” Justice Paul Newby wrote for the court. There are many problems with the majority’s decision—it introduces subjectivity into what was previously a well-settled objective inquiry and creates an interpretive role regarding state statutes for police officers and police departments. The danger in adopting a new constitutional rule here is that this particular case seems so innocuous: Of course it is reasonable that an officer would pull over a vehicle for a malfunctioning brake light. But this new constitutional rule will also apply in the next case, when the officer acts based on a misreading of a less innocuous statute, or an incorrect memo or training program from the police department, or his or her previous law enforcement experience in a different state, or his or her belief in a nonexistent law. Nonetheless, several months later the U.S. Supreme Court affirmed the ruling by the state Supreme Court. And guess what’s happened in the months following that affirmance.